The Supreme Administrative Court in its judgment of 11 May 2005, case file II GSK 36/05, published in the electronic database LEX under the number 166070, ruled that the issue of similarity of trade marks is both the factual and legal category. Such a specific legal status is a prerequisite to justify an overall reference to the alleged breaches of procedural and substantive law, which are related to this issue and the administrative court can conduct its own assessment of the similarity criteria used by the Polish Patent Office. 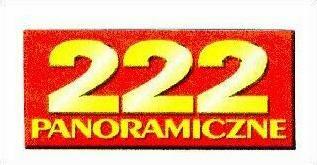 This case concerned the examination proceedings of the application for word-figurative trade mark 222 PANORAMICZNE Z-175554 filed by Oficyna Wydawnicza PRESS-MEDIA from Mielec. Categories: Art. 184 PBAC | likelihood of confusion | Polish Supreme Administrative Court | similarity of signs | trade mark examination.